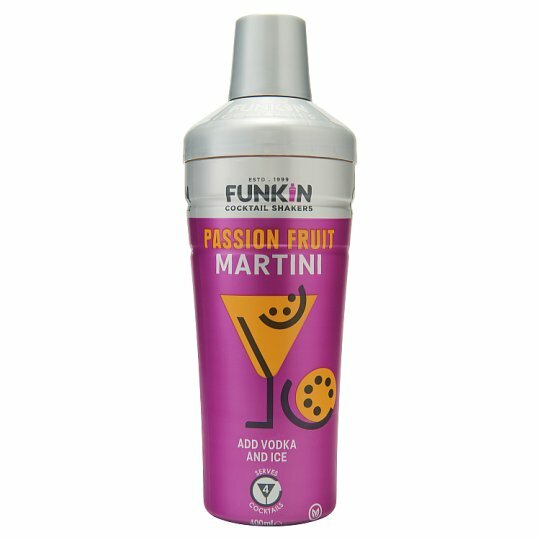 Delicious, expertly blended, bar quality Passion Fruit Martini cocktail mixer made with the finest real fruit. Serving some of the world's top bartenders and bars since 1999, we strive to shake up to the ordinary and make great tasting cocktails available to all. To enjoy four premium cocktails simply peel lid, pour your favourite Vodka to the fill line or add 8 x 25ml caps (use Vanilla Vodka for a Pornstar Martini), top with plenty of ice, shake and serve. Best served in a Martini glass, with half a Passion Fruit floated in the centre of the glass to garnish.